YOUNGSTERS from a Renfrew primary school got really mall excited when they visited Santa’s Grotto at the intu Braehead shopping centre. The kids from Kirklandneuk Primary 1 class got to meet the big man with a white beard and who wears a red suit. They were invited along to come and play this Christmas and meet Santa by the kind-hearted team running the mall and as well as being able to tell Santa what they want for Christmas, the youngsters were also given an early present. The grotto is open from 11am every day until Christmas Eve, when it opens even earlier at 9am and is in the upper mall between Sports Direct and Schuh Kids. Marketing manager for intu Braehead, Christine Macdonald said: “The magic of Christmas is all about the excitement and look of joy on the faces of kids when they meet Santa. 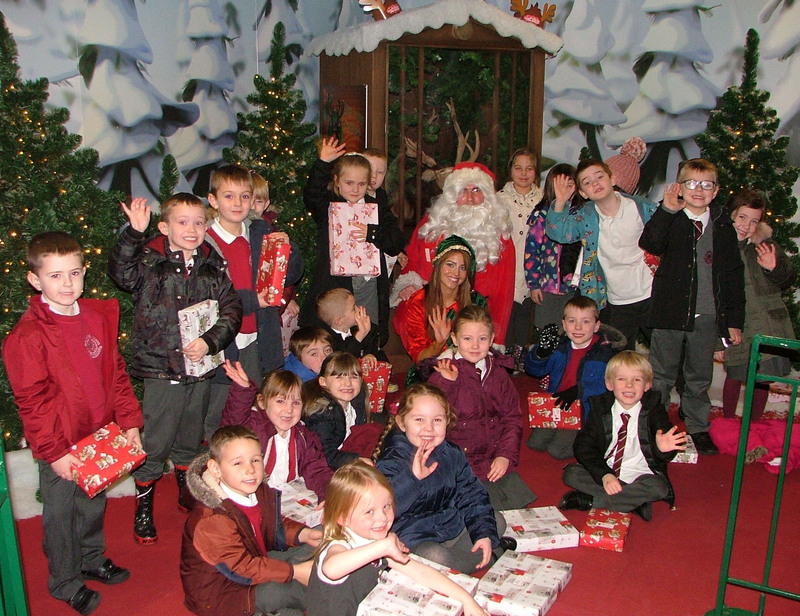 Log on to http://www.intu.co.uk/braehead for more information and to book a visit to Santa’s Grotto.